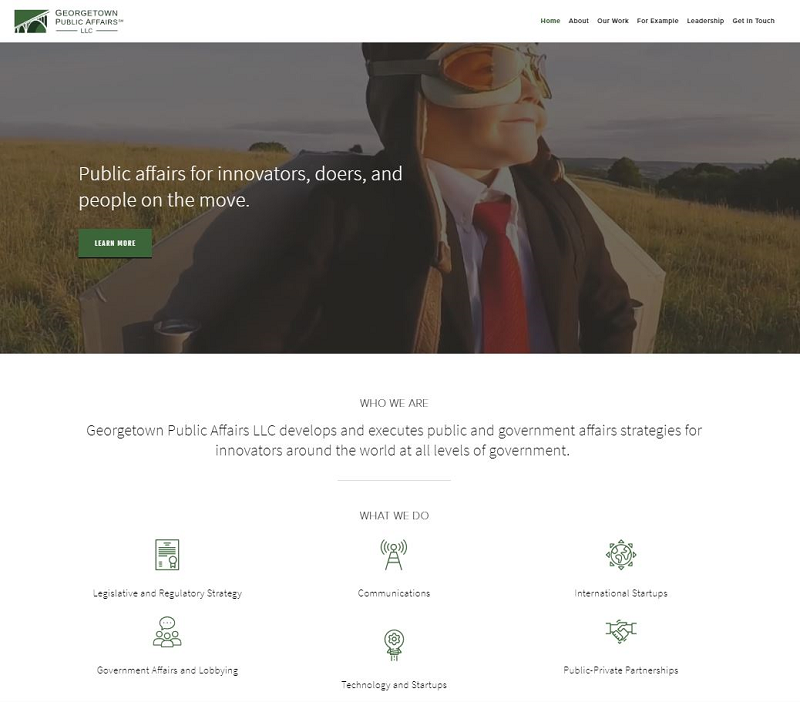 Filnet was selected by Georgetown Public Affairs to create a website for their new start up. Being a small PR firm, they wanted a site with a dynamic visual presence which clearly communicated their business services. In addition, they wanted to easily maintain the website themselves after development. Filnet implemented Squarespace as the platform to accomplish these requirements. Using a customizable layout, along with an intuitive backend, Filnet ensured the site more than fulfilled all the client's goals. The end result, with bold banners and clean design, effectively showcased Georgetown Public Affair's work and services.